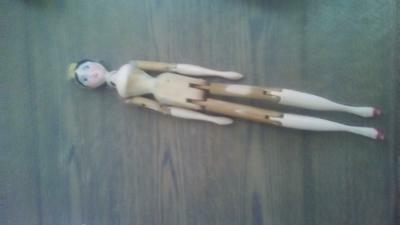 This looks like an early Grodnertal wooden tuck comb doll with its face repainted. She has one wooden earring that looks very similar to the authentic antiques. Her necklace looks very similar to a necklace worn by an original.